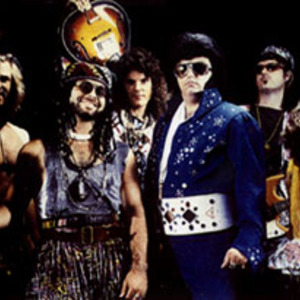 Dread Zeppelin is an American band best known for covering the songs of Led Zeppelin in a reggae style sung by an Elvis Presley impersonator, though their act now encompasses many other songs and other styles of music. Led Zeppelin vocalist Robert Plant has said that Dread Zeppelin is his favorite Led Zeppelin cover band. As of June 2006, Dread Zeppelin is touring sparingly but still releasing new material. As of June 2006, Dread Zeppelin is touring sparingly but still releasing new material.